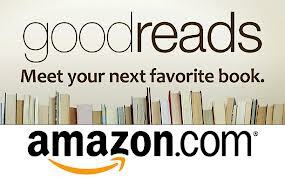 The book world (whoever that is these days) was rocked last week when Amazon announced it had acquired Goodreads. Chances are, if you own a credit card, you know who the first is, but you need to be a book lover to know the second. Goodreadsis no small start-up. It boasts 16 million members who have added more than 530 million books to their ‘shelves’ and generated more than 23 million reviews. Basically, Goodreads has emerged as the world’s largest site for readers and book recommendations. There are more than 30,000 book clubs within Goodreads. Founded in 2007, Goodreads is also a place where more than 68,000 authors connect with readers. It is huge. Oh, and it was created and based in San Francisco – not relevant, but I feel a need to boast, though none of the credit is mine.